By using a child note you can link multiple stories and/or notes together, enabling continuity and observation of the learning journey. 1. 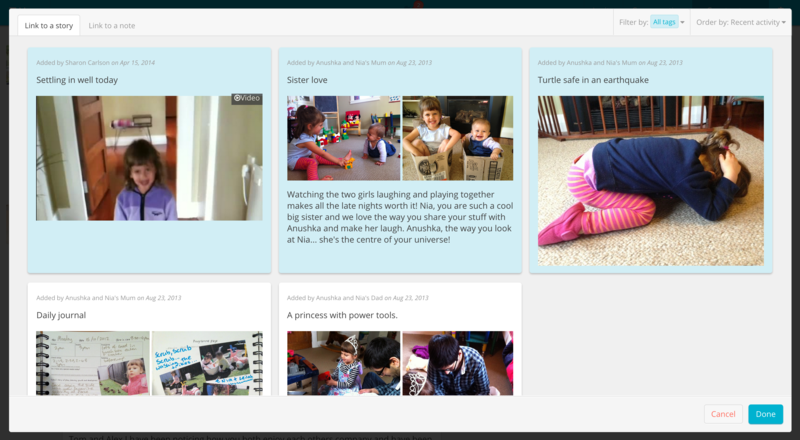 If you have stories or notes you want to link together, create a child note by either clicking the 'Child note' tab at the top of your latest activity page or on a child's notes page. 2. Before you can create a child note you need to select the child it is associated with. 6. You can explain in the text area why you have linked these stories/notes together. Selecting a category, eg. 'Opportunity' before posting helps to categorise and explain the linked stories and notes. 7. 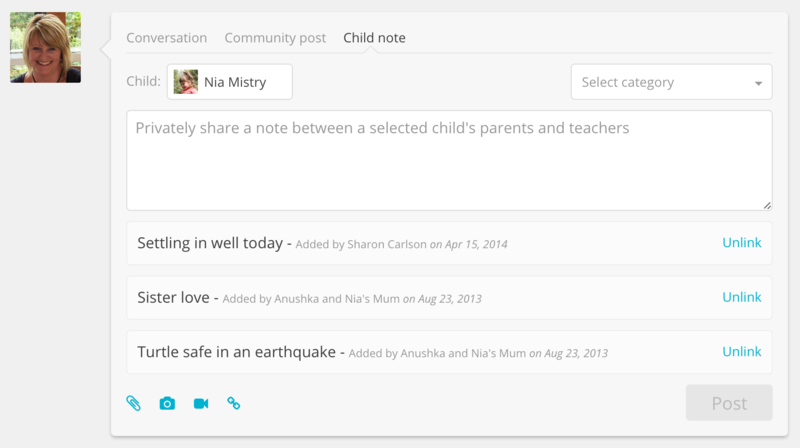 Once you've finished, click 'Post' and the child note will be visible to all those associated with the note.